I got my Masterpiece MP-12 today! 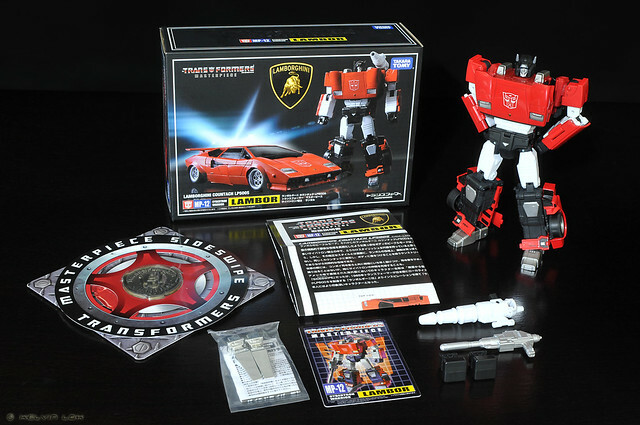 In Japan he is known as Lambor, but we know him better as Sideswipe. Here's a first photo of the box contents, except the coin and silver pile drivers which are separate. The coin is Asia exclusive, and the pile drivers are Amazon.jp exclusive. I'll post more photos and my review later. Watch for it!